Canada's health system needs reform -- although provincial and territorial ministers might think reform is about cost cutting, I would argue that real reform is about putting patients first. As the chair of an organization representing 23 patient groups from across the country, I have seen too many conversations focused on reducing the budget impact of medications through pricing. The federal, provincial, and territorial health ministers' meeting is currently taking place in Vancouver. This is a conference that will set the tone for future discussions between these ministers on vital health matters and system reform is slated as the priority topic. 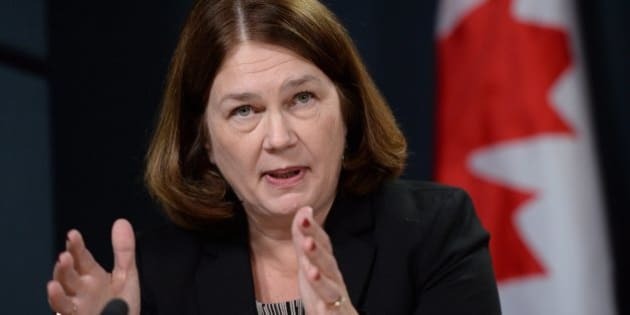 I completely agree with this priority -- Canada's health system needs reform -- although provincial and territorial ministers might think reform is about cost cutting, I would argue that real reform is about putting patients first. As the chair of an organization representing 23 patient groups from across the country, I have seen too many conversations focused on reducing the budget impact of medications through pricing. It has led to a health system of patchwork programs that often result in compromised patient care at greater cost to individuals and the health-care system as a whole. I welcome any actions that bring value and savings to patients and the government, but this shouldn't be at the cost of quality health provided to patients. That is why, just last week, the Best Medicines Coalition sent a letter to all federal, provincial, and territorial health ministers outlining six key principles that we firmly believe are important for inclusion within any proposed models that strive to improve access to medications. Quite simply, no Canadian should be left without the means to obtain medicines that a qualified health-care professional has deemed necessary. The Equitable Pharmaceutical Care: Principles and Considerations Regarding Pharmacare reflects the shared vision of the patient groups I represent, and we would all like to see it set the tone for ongoing discussions regarding health reform. I feel strongly that patients -- and the organizations representing them -- must play an integral role during the review, debate, development, and integration of new pharmacare strategies and programs, and these principles go some way toward that. All Canadians need assurances from our health leaders that significant pharmaceutical policy reform will involve full consultation with all relevant stakeholders and that they will carefully consider all options and their implications. Improved collaboration and consultation between all levels of government and crucial stakeholders, such as the very patients who need these programs, is a reasonable request, and I am encouraged to see that our new government agrees, as it promises to take a more active role in working with the provinces on health care. Quite simply, no Canadian should be left without the means to obtain medicines that a qualified health-care professional has deemed necessary. I am certain that the ministers share this core belief, and that we can all work collaboratively to improve this vital aspect of health care. In my role with the Best Medicines Coalition -- and as a patient myself -- I am encouraging the health ministers to begin significant health reform and drug program collaboration. For patients, it is about broadening their eligibility for medications and receiving a high standard of care. Canadians need this. As I watch the annual health ministers' meeting closely, and with the support of the member organizations of the BMC, I urge these ministers to ensure any joint strategies expand, rather than restrict, access to prescription medicines.